Took me a while to fully digest this race and get to write down a race report. First off I considered the CCCX #9 my last race of the season. 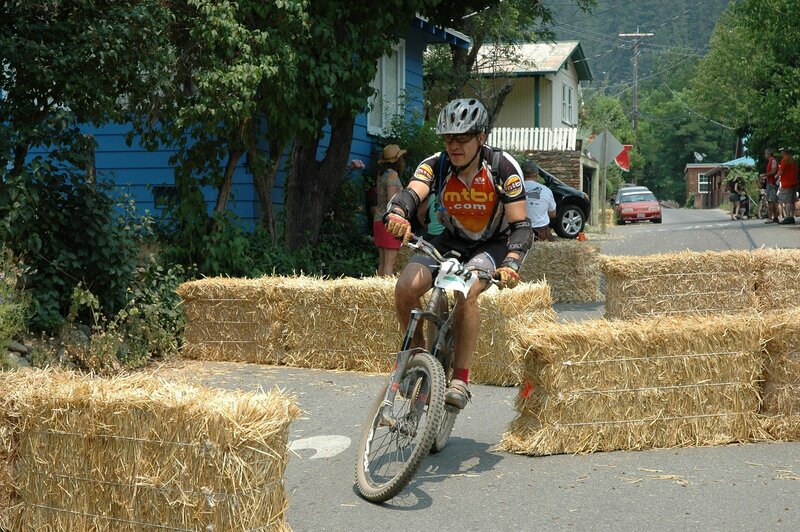 So I decided to do the Downieville classic without considering it a race, but more lake an epic ride. And that’s in fact what it is. 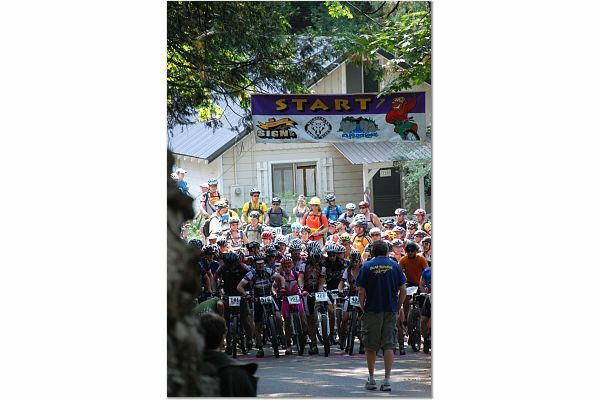 The race course is incredible, a total of 27 miles with over 4000ft of climbing and 6000ft of downhill, starting in Sierra City and Finishing in Downieville. I prerode the course the week before with a few friends, but we took almost a whole day to ride and although I was tired at the end of the ride, that didn’t really give me the idea of what the race would be. On the race week-end I stayed at the Wild Plum campground in Sierra City with MichiganMatt, Mr.Crash, SJensen, ZX6Roxy and Fawndog. The race start seemed a little chaotic as everybody was amassed by the start line. Waterwise I started with a full Camelback (3lt or 100oz.) and one extra bottle of water. Weighted my Nomad at the start line at 36.2#, plus about 10# of water. I knew I had 3000 straight feet of climbing, so I decided to carefully keep my HR within my LT, in order to avoid cramping, that everybody seemed to fear. Also for the first time in a race I was using my iPod, mainly to cope with the pain of the long climb. Distance to the top is about 8 miles and 3000ft, which I completed in about 1:26. Then it was time to come down on Sunrise, a nice flowing singletrack. I briefly stopped to wear elbow pads: being the second time I ever rode this course I decided to be conservative. About half way down Sunrise I realized that my legs were not ok, started feeling some tension and cramps. It wasn’t until a started climbing again on the fireroad that I realized I was in deep trouble. Both my legs started cramping heavily, until I came to a stop (slowing falling off my bike with both my legs locked…) It took a good 10 minutes and a PBJ sandwich before I could pedal again. Ahead of me the “babyhead” section: fun and technical trail with lots of, well, heby head sized rocks. That’s where I was really happy I was riding my Nomad. Had not much trouble there and luckyly didn’t have to pedal much, but I was feeling my legs really weak. With still 10 miles to go I started thinking that I may not make it to the end of the race. It is interesting when your mind switches from the “I want to do well in this race” mode to the “I want to make it to the end” mode. Quite a shift. This is in fact the only race this season where it occurred to me I may not be able to finish. Coming down 3rd divide was fun and painful at the same time. When I finally hit the road in Downieville I was really relieved that the whole thing was over. I placed 19th out of 34 starting in my category (Beg Veteran 35-44) with a time of 3:39:46.2. Results for XC race are posted here. I didn’t realize the best part was ahead of me: the food, beer and events in Downieville after the race are definitely worth attending. The atmosphere is great and totally different from other big races, like Sea Otter. Lot’s of stands to visit and friendly people to talk to: had a really good time. The good folks at Chris King had a field kitchen, cooking Mexican food for lunch and pancakes for breakfast: free. All in all a great experience. When you learn so much in so little time, well it is going to hurt. I know for sure that I’ll be doing things differently next year, first of in training for this race, the climbing, and then how much water to bring, the kind of food to eat and possibly the bike setup. 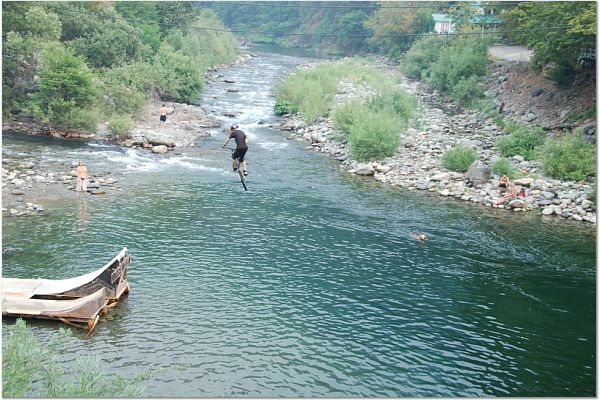 I’m looking forward to Downieville Classic 2009.